How often have you wondered what a smart city was? How often do you get asked the same question? Most likely you’d say: more often than I’d like. 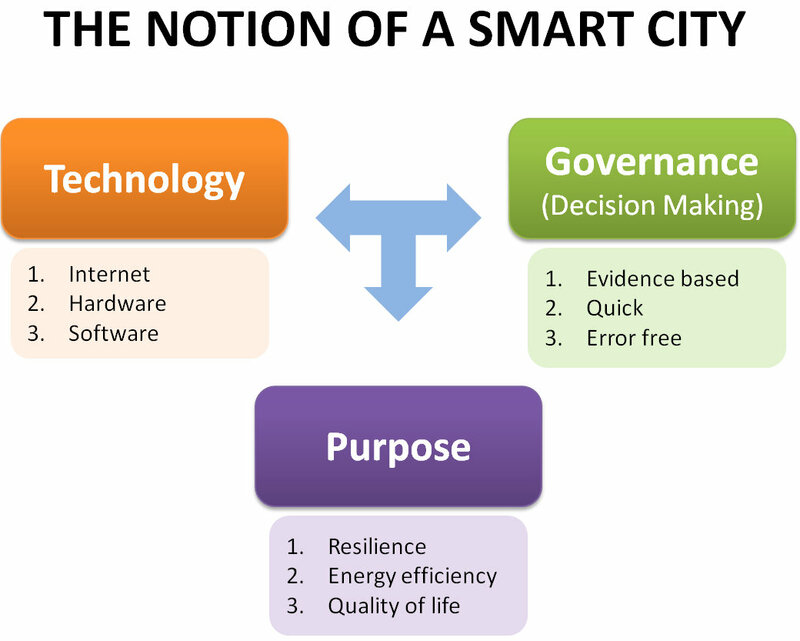 Most attempts to define smart cities start with features of smart cities and end up how they work. India’s Smart Cities Mission says: ‘There is no universally accepted definition of a smart city. It means different things to different people’. This is not entirely incorrect, but neither is it helpful. This article will give you a definition which can be used universally and it will not only help you visualise smart cities better but also help you plan for one in a structured way. Contrary to the hype a smart city is not a different genre of cities! It is only a notion, a concept. It came into being as a result of the need to urgently adapt our existing cities to meet the fast emerging needs of exploding urban population and fighting climate change. The notion of smart cities represents nothing but urban renewal, on steroids though. It can also be applied to new greenfield cities. The idea of existing cities becoming smart is seen as the best way to resolve the problem. But what is a smart city? Simply put, when you leverage technology in the governance of a city to achieve a set of pre-determined goals (purpose) you get a smart city. Let us discuss all three. The Purpose first. The cities today are in the danger of failing under the pressure of exploding urban population. Main roads are bursting at their seams due to heavy traffic and all infrastructures is overloaded. Shortage of power and water plagues the city. Sewers overflow. Waste disposal is inadequate. Housing is scarce. Slums are mushrooming. And crime is on the rise. All this contributes to the deterioration of the social and ecological environment. The threat of climate change makes the situation further challenging. While this seems like a common description of most cities, the intensity of challenges varies from city to city. Congestion of traffic might be a big challenge in Bangalore, Beijing might have air quality as the biggest challenge and Delhi might want to have water supply secured as one of the high priority challenges. Every city would have a different set of goals with some that seem like being pursued universally such as become resilient to climate change, become energy efficient and improve quality of life for residents. We are witnessing an explosive growth of new technologies— from GIS, communication, IoT, Big-data, LIDAR, mobile applications to exploration of earth from space. 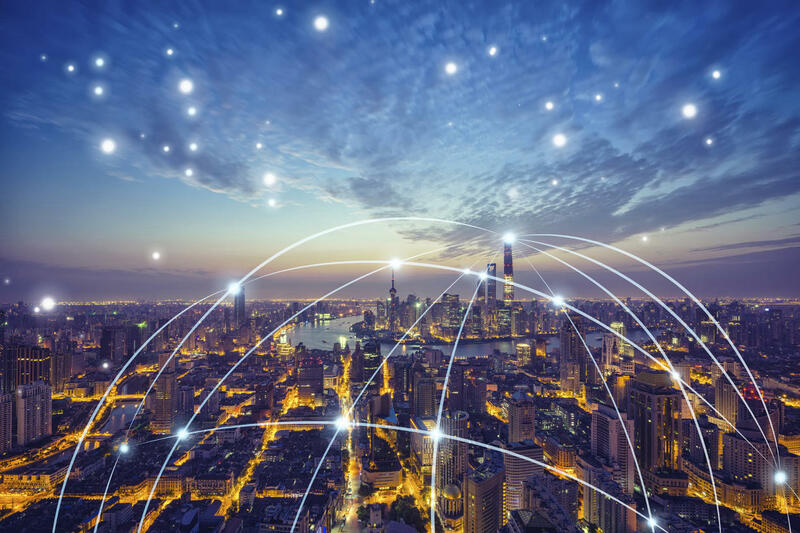 These technologies are not only unlocking massive streams of data but also have massive potential for use in all walks of life, including in the design and building of cities-with or without planners’ involvement. It is essential to develop and utilise emerging technologies so that this significant change will be made in a sustainable way not doing so is an opportunity wasted and ignoring the answers to all the questions that we haven’t yet asked. We need our cities to be resilient and environmentally sustainable and offer wellness and quality of life along with other objectives that might be specific to different cities. But every city government/administration has the mandate to pursue those goals. What sets a ‘smart city’ apart from a business-as-usual (BAU) city is how it is governed. In other words—how decisions are made in a smart city. These decisions range from how it should be designed, to how and what policies should be made, and how it should be run on a day to day basis. And this is where the most visible aspect of smart cities comes in—the technology. On the face of it may seem like the technology is making things happen which it is. IoT devices embedded in street light poles sense the flow of traffic along a set of roads and let the traffic light at their junction know when to turn green or red. Another set of devices secured to trash bins across the city lets the cleaning team know when the bins are full and need emptying. In addition to performing these functions, they are also performing a more important task which is often not conspicuous to most city dwellers. And that task is collecting and generating data. And lots of it. Google is world’s most valuable company not because of what it does but because the data it possesses. Facebook is rich because of the data it has. Walmart, world’s largest retailer not only sells all sorts of stuff to people but also collects data about them: who buys what, when, how often, who spends how much etc. Companies and organisations that collect and use data to govern their strategies and actions not only create unprecedented efficiencies in operations because of swift and relatively less error prone decision making but also new streams of revenue earnings. Time has come when cities need to do the same. Only those that are doing this are ‘smart’. Indeed data is at the core of smart cities. The data comes from measuring as many aspects of an urban ecosystem as possible; it generates a huge volume of data from a plethora of sources as a result. Data, on how people move throughout the city, how and where they consume resources, what facilities they are converging on etc. By measuring these factors, the city’s infrastructure can address issues with minimum human interaction with least amount of time lag. If sensor read high level of pollution level next to a location with traffic congestion drivers could be automatically diverted to an alternate route. So the notion of smart cities is really a management + policy response to the inadequacy of current cities to accommodate the exploding urban population, with the strategic intent to take advantage of technology that is available to us. When technology and governance combine to achieve certain goals for a city’s future the quality of ‘smartness’ emerges in the city. A city cannot be perfectly smart or not be at all smart as we don’t know the limits of ‘smartness’, it is an emergent characteristic. While technology is the most ubiquitous means to achieve the desired goals, governance is the operative component of a smart city, with data collection and its judicious use in decision making is key to smart governance.